Taper locks are used to fix cat iron pulleys to engine shafts. They vary in size depending on the size of pulley being used. 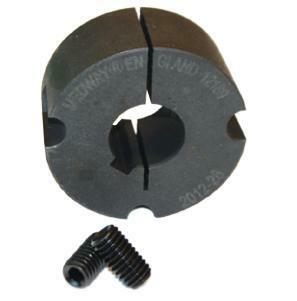 £0.00 Taper lock for pulleys to fit 1 inch shaft.